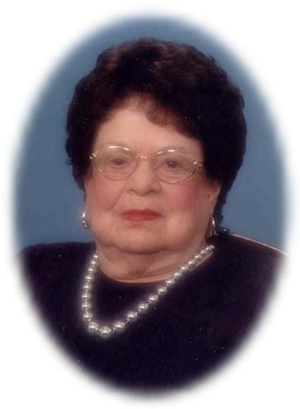 Obituary – Francis, Manila V. (Baetz) « Perry High School Alumni Association, Inc.
We remember Manila Francis, 86, who entered eternity on Monday morning, January 5, 2004 at her home in Lawton, Oklahoma. Manila was born on November 25, 1917, to Otto and Myrtle (Carrier) Baetz in Perry, Oklahoma. She was received into the Kingdom of God through Holy Baptism on May 9, 1920 at Christ Lutheran Church, Perry by Rev. Edward Hauer, and was confirmed by him at Christ Lutheran on March 29, 1931. 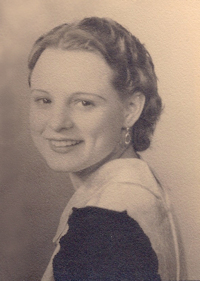 Manila was an eighth grade graduate of Christ Lutheran School in Perry and a 1935 graduate of Perry High School. She and Charles William Francis were married at Christ Lutheran Church on September 19, 1937 with Rev. Edward Hauer officiating. During their 55 years of marriage they lived in Perry, Chickasha, Tecumseh and Watonga, Oklahoma. In 1975 they returned to Perry to spend their retirement years. Manila was a member of Christ Lutheran in Perry, a charter member of Unit III and General League. The past three years she resided with her daughter and son-in-law, Sharon and Dale Roper, in Lawton and attended St. John Lutheran Church. Manila was lovingly known as “Nanny”. This became her name upon the arrival of her first granddaughter. She was a very special person to all of her grandchildren and was dearly loved by all of her family. many other beloved nieces, nephews and cousins. She was preceded in death by her husband, her parents, one daughter, Barbara Sue Busby, two sisters, Opal Elliott and Doris Brown, and two great grandsons, Mikel Joe Mallouf II and Wyatt Roper. Funeral services will be held at Christ Lutheran Church, Perry, Oklahoma, at 10:00 a.m. Thursday, Jan. 8, 2004, with Rev. Richard Mayer, St. John Lutheran, Lawton, and Rev. William Metz of Christ Lutheran, Perry, officiating. Committal service and burial will be in the Grace Hill Cemetery, Perry, under the direction of Brown-Dugger Funeral Home. Memorials may be made to Christ Lutheran Church, 1301 N. 7th, Perry, Oklahoma 73077.